Want to learn how to paint? These painting lessons demonstrate how to paint using several different techniques to create art in many different styles, from photorealism to abstraction. These painting tutorials focus on using acrylics, watercolors and pastels. If you want to learn how to make acrylic paintings that look just like photographs, check out this in-depth step-by-step guide on How to Paint Photorealism. 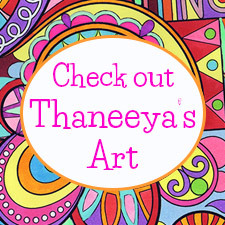 Learn how to paint abstract art in this easy-to-follow painting tutorial that shows you how to paint colors and shapes to create colorful, fun abstract art. Learn how to use pastels in this pastel painting workshop. In this pastel portrait painting tutorial, you'll learn several important techniques that you can use when creating pastel art. 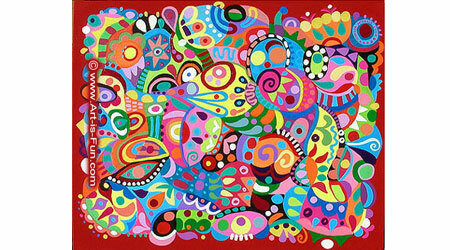 Learn how to paint abstract art flower paintings! This fun acrylic painting tutorial walks you step-by-step through the process of creating fun & easy colorful abstract floral paintings. 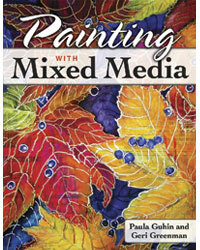 Learn how to combine watercolors and colored pencils to create mixed media art! 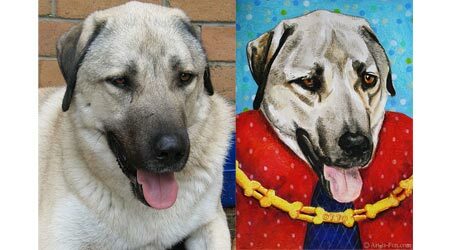 In this mixed media tutorial, you'll see how I created this whimsical dog portrait, and learn tricks and techniques for using watercolors and colored pencils. Learn how to use watercolor pencils, watercolors and masking fluid to create fun abstract art in this step-by-step watercolor pencil art lesson! You'll be both drawing and painting - but don't worry, it's not hard at all! Learn how to use acrylic texture mediums to create a 3-D effect in your paintings! This demo also shows you how to create a mask. If you're wondering what a "mask" is, then do check this out! 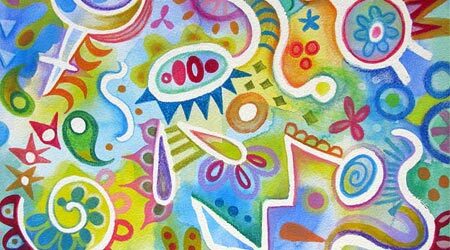 Learn how to create colorful abstract art using simple shapes with these easy-to-follow abstract watercolor painting instructions. You'll also learn how to mix watercolors. Learn how to oil paint in the Classical Realist style with Delmus Phelps! If you want to bring your still life oil paintings to the next level, you'll want to check this out. Lee Hammond's Big Book of Acrylic Painting helps beginners learn how to paint with acrylics, with 192 pages of information, tips, demos and examples. Read my detailed review and get a glimpse at the art and lessons in Lee's book! Painting with Mixed Media is a fun exploration of the many different ways you can mix traditional paint with other media to create an exciting range of artwork. See examples, download a free lesson and learn more about this book in my review! My It's All Good 2019 Calendar features 13 vibrantly colored positive phrases that are designed to inspire, encourage and motivate. This calendar also includes an exclusive 12 x 12 inch coloring page illustrating the phrase "Do more of what makes you happy". 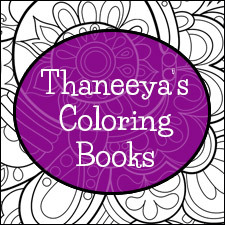 You won't find this coloring page anywhere else!